The Opposition on Friday supported the Government’s motion to adopt the Report of the Standing Finance Committee for fiscal 2018. But this came only after Finance Minister Colm Imbert, in his wind up of the debate on the motion, tore apart Caroni Central MP Dr Bhoe Tewarie’s contribution. In his contribution, Tewarie painted a dismal picture of TT’s economy, lamenting what he considered to be its steady contraction. He also claimed the economy had declined in almost every sector. 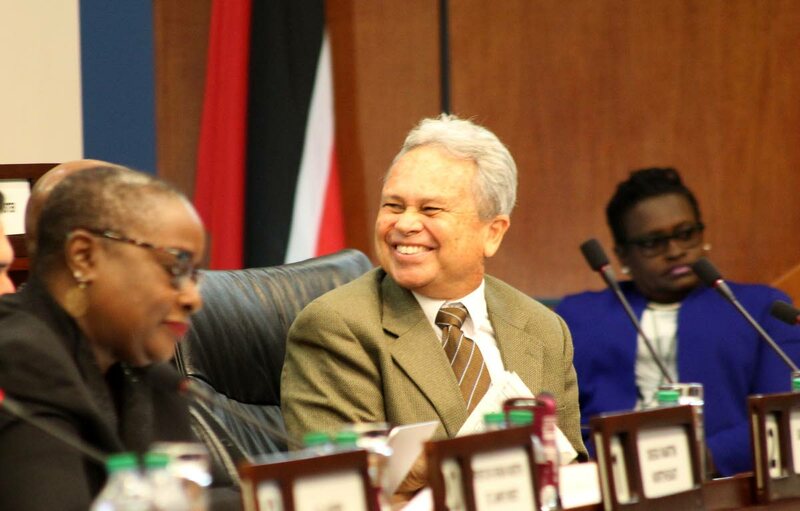 The word “lie” is regarded as unparliamentary and Speaker Bridgid Annisette-George cautioned Imbert on at least two occasions, against using the word to describe members of the Opposition. The minister said Tewarie’s contribution could not be further from the truth. At this point, Annisette-George warned Imbert against imputing improper motives. Imbert said if the word “lie” offended them, he could have instead spoken about the history of fake news, disinformation or propaganda. In response, Tewarie wondered if Imbert was aware that a publication, Monetary Policy Report of the Central Bank, for November 2018, had been issued. “He (Imbert) should have a good read to find out where the country is at this time,” Tewarie said. The House was adjourned to Friday at 1.30 pm, Private Members’ Day. Reply to "Imbert: Tewarie told a ‘big lie’"